I use sql express for a lot of things. On my development server and also on some production sites. Some of the things that I have noticed is the lack of a backup solution or automation of a backup solution. 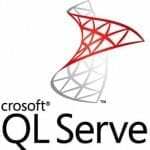 I found this article and script to generate a backup that is very close to a Maintenance plan in Standard SQL 2005. Jasper Smith does a great job explaining how to use and schedule backups. This has come in real handy for me.